Oh my goodness Jana (and Joshua) and our co-host this week, Amanda nailed it! Find all the details surrounding their looks on each of their blogs. 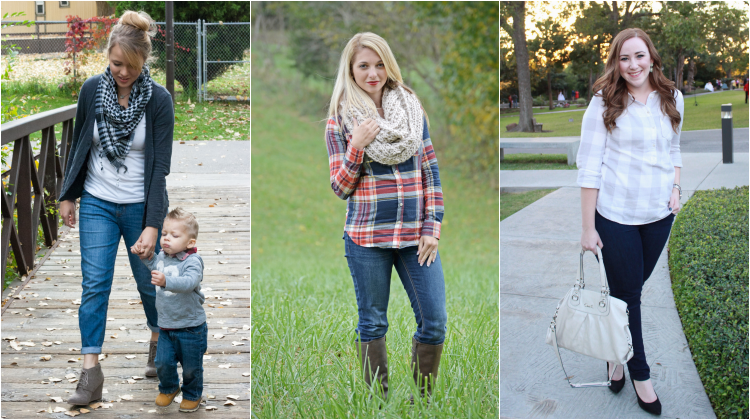 Seeing Jana do style posts with her son, Joshua, totally gets me stoked about styling my Maddox! Who says little boys have to look drab? It's official, October was my favorite month of themes! That is until the next month rocks my socks off and I'm giddy all over again. Flannel is seriously right up my alley. It was a tough decision sifting through my flannel selection (it might be bigger than any other selection in my closet) and deciding which shirt I wanted to use. I settled for this adorable flannel top from nowhere other than Target. It's beyond comfortable and the colors scream HOLIDAYS ARE COMING! Now pair it with a knit scarf, boots and a bold red lip and there mind as well be snow on the ground. Speaking of snow, can you believe we are heading into turkey month? This pregger chick is prepared! I've got my "I can fit the most food in my belly and no one will see a difference" pants, also known as maternity jeans ready for the big day! And I'm thanking Maddox in advance for the fact that I already look like I've eaten two platefuls of turkey, mashed potatoes, corn casserole, stuffing and apple pie. I've waited for the day that I could get away with a food baby and blame it on a real baby! So check out the prompts below because there is more to look forward to than turkey this month. PS. We won't judge you if you have a food baby in your pictures. Tis' the season, right!? 19 comments on "The Creative Closet || Fabulous Flannel "
I think we are wearing almost identical boots this week - taupe goes with everything! My gradma is knitting me a chunky scarf like yours and I can't wait for it to be finished so I can rock this exact look. You are looking beautiful as ever, I love the red lip to finish the whole outfit! Seriously loving your scarf this week! And with the plaid... perfection! Flannel and plaid make me super happy! Fall and winter clothing is my favorite and I have been so excited that it is finally time to start breaking it all out! So cute! Please pretty please send some cool weather our way! Oh my gosh I am going to have to get to Target QUICK & see if they still have flannel shirts! I absolutely loooove that!! Would yall happen to be down in the Boone/Lenoir area this weekend?? Just wanted to go ahead & ask, ha! Awwww now we know that's a little boy in that bump! I love that big chunky scarf! 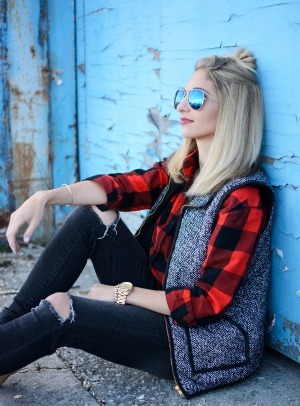 Love the classic flannel! Such a cute baby bump! 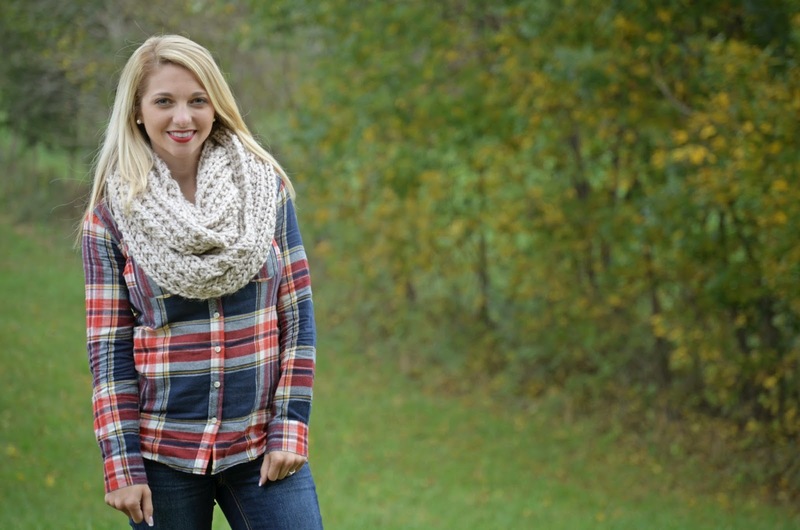 LOVE the scarf with your flannel. And your baby bump is THE CUTEST! Aren't you just the cutest little pregnant gal? LOVE those flannel tops. Target is the best! I love the outfit - it's so warm and cozy-looking! That flannel paired with that scarf and lippie, perfection! You look adorable! 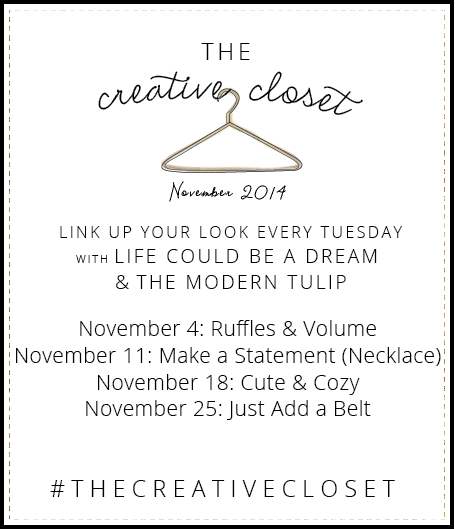 So excited for these November prompts, hopefully I can get back on track and start linking up again! Flannel is one of those things that looks cute on other people, but when I put it on, I just feel like a lumberjack. Yikes! 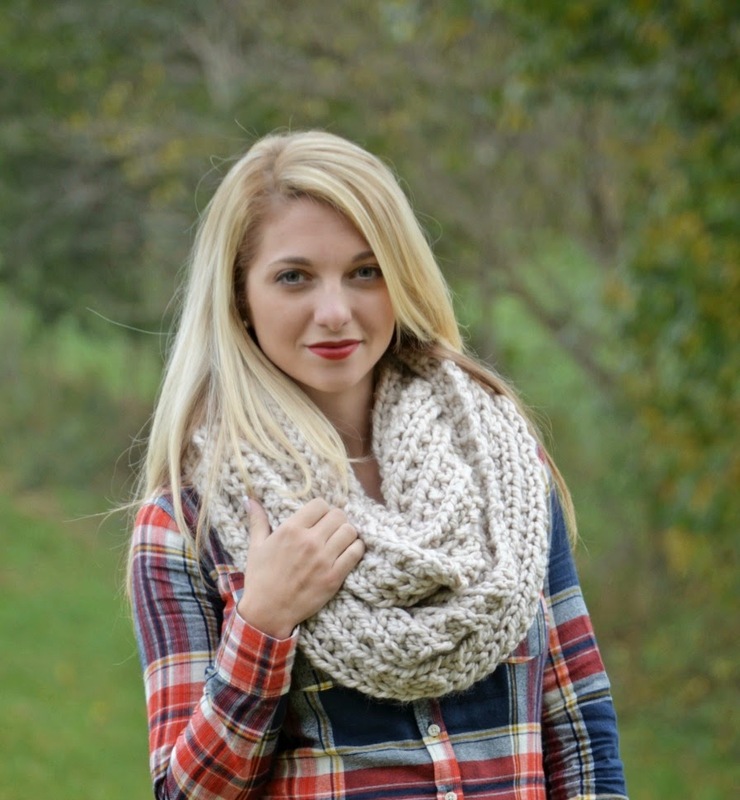 I finally got a chance today to check your blog and was pleasantly surprised to see that you are ROCKING my scarf :) Maegen you are adorable! Your little outfit and that little bump are just presh! Seriously! You're so skinny too! Good heavens!! Thanks for continuing to promote my shop :) I've seen several pics in October showing it off! You're sweet :) I seriously want this whole outfit now! Hope you're doing well! You're so cute!! I, surprisingly, own zero flannel! It's a great wardrobe essential, but I have no idea where to buy good flannel. I'll have to check out Target soon!